Christian boarding school for struggling teenage girls from Mississippi. – home for troubled youth and Christian boarding schools. Discover Wings of Faith Academy, a Christian Boarding School for Girls. This Christian boarding School in Missouri Helps Girls from Mississippi. Wings of Faith Academy is a Christian boarding school enrolls just girls who are struggling, including from the state of Mississippi. If your child suddenly changed to become defiant and perhaps a danger to herself or her future, our secure and safe Christian boarding school can help. Girls who enroll in WOF are those who have perhaps threatened to run away from home, or who are consistent liars, or trying out drugs and alcohol, or being promiscuous. Your girl in Mississippi may be attempting to take advantage of your parental love, so it is understandable that you may feel like it is your fault and blame your own parenting for her troubles. Always hold to the though that you are not the problem; her goal is to make you feel bad about yourself, so that you’re more likely to surrender your power and rights. The staff of Wings of Faith Academy works closely with every teen under our care to help her improve her behavior. We focus on coping skills, character, self discipline, personal accountability and good habits. We support them as they repair and rebuild shattered relationships with their parents. This Christian boarding school is an affordable, highly successful, therapeutic option for teens who are having a difficult time in traditional schools. We enroll girls in our Christian boarding school from Mississippi, throughout the year on our Missouri ranch campus. As you search around Mississippi for a Bible-based Christian boarding school that can help, we invite you to look at Wings of Faith Academy. While it is not in Mississippi, Wings of Faith is a fraction of the cost of typical therapeutic boarding schools in America, including Christian therapeutic boarding schools near Mississippi. We have helped hundreds of teen girls from Mississippi and throughout the country. Many girls come to our Christian boarding school failing or falling behind in academics due to the distractions of life issues. Our accredited high school curriculum lets girls catch up on missed or failed credits and graduate high school in a timely manner. We focus on spiritual growth throughout our program. We discuss biblical principles to handle the critical issues that teens face. We have witnessed miracles take place in the lives of the most rebellious teens. We engage girls with a variety of activities so they can relax and have fun again. 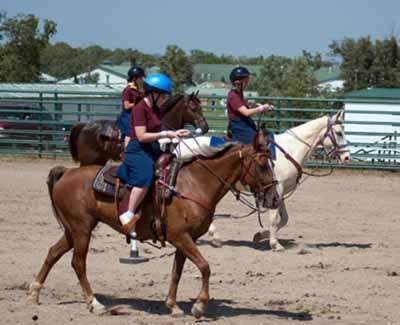 Games, crafts, recreation, horseback riding, swimming, volleyball, movies, field trips and more keep girls active and having fun. Our Christian boarding school was founded to help heal families from Mississippi, and from places everywhere in the country. Submit our inquiry form or call us to talk with an admissions counselor. Jackson is the capital and the most populous city of the US state of Mississippi. It is one of two county seats of Hinds County (the town of Raymond is the other). The population of the city declined from 184,256 at the 2000 census to 173,514 at the 2010 census. The 2010 census ascribed a population of 539,005 to the five-county Jackson metropolitan area. The current slogan for the city is Jackson, Mississippi: City with Soul. Jackson is ranked 3rd out of America”s 100 largest metro areas for the best “Bang For Your Buck” city according to Forbes magazine. The study measured overall affordability, housing rates, and more. The city is named after Andrew Jackson, who was still a general at the time of the naming but later became president. The city is the anchor of the Metro area. USS Jackson (LCS-6) will be the first ship of the United States Navy to be named in honor of the city. Excerpt about Christian boarding schools in Mississippi, used with permission from Wikipedia. Should you need help finding therapeutic boarding schools, troubled teen schools, boarding schools or homes for troubled boys, please let us know. If you are searching for troubled youth homes, troubled teen schools or troubled teen boarding schools, you have found one. Homes for troubled teens and boarding schools for teens don’t typically offer teen counseling and therapy, but we do. Our therapeutic boarding school is among best therapeutic schools with counseling. Our troubled teen school and residential treatment program for teens is affordable. The Wings of Faith religious, faith-based, therapeutic residential school helps turn around rebellious girls who are defiant or out of control and get them back on track spiritually, mentally and academically. Compare our girls boarding school to therapeutic programs and other religious residential schools for girls. Call us to see how affordable our school for girls can be. Wings of Faith is a therapeutic boarding school for struggling teen girls, ages 8-17. If your teen girl is deceitful, struggling with authority, running away, coming home late, sexually promiscuous, failing school, or has been diagnosed with Attention Deficit Disorder, Attention Hyperactivity Deficit Disorder, Oppositional Defiance Disorder, or depression, Avoidant Personality Disorder, Compulsive Personality Disorder, our boarding school for girls can help. Christian boarding school for struggling teenage girls from Mississippi.